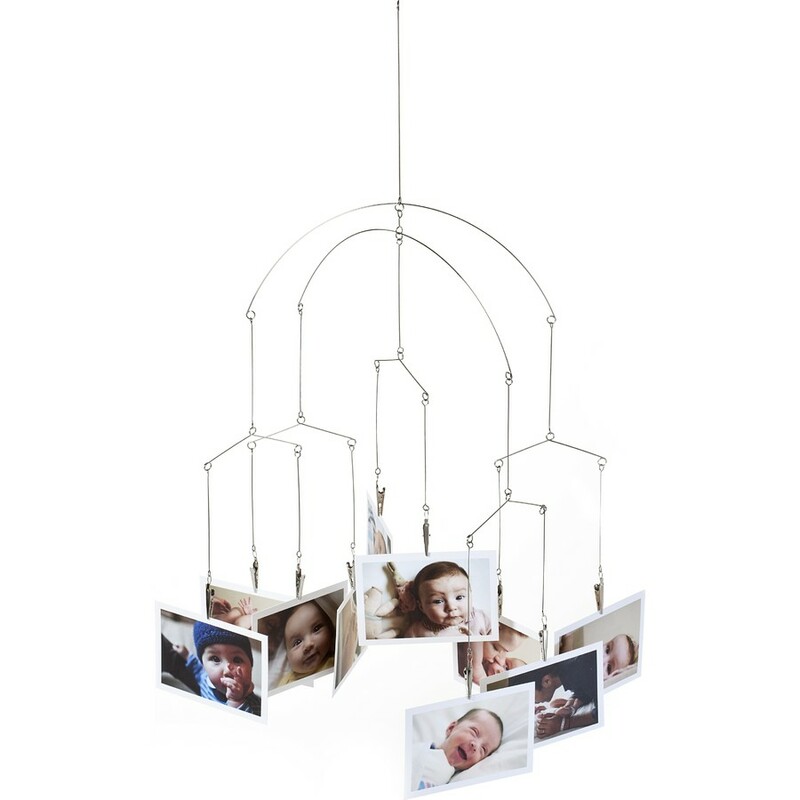 A modern mobile sure to catch baby's eye. Surround your little one with familiar faces to comfort them when they need it most. Displays up to 20 horizontal photos. WARNING: Product has removable parts. Should not be placed within reach of small children.